Royal Governor 1754-65, author, member Irish Parliament, promoter of search for Northwest Passage, is buried at Saint Philips Church. 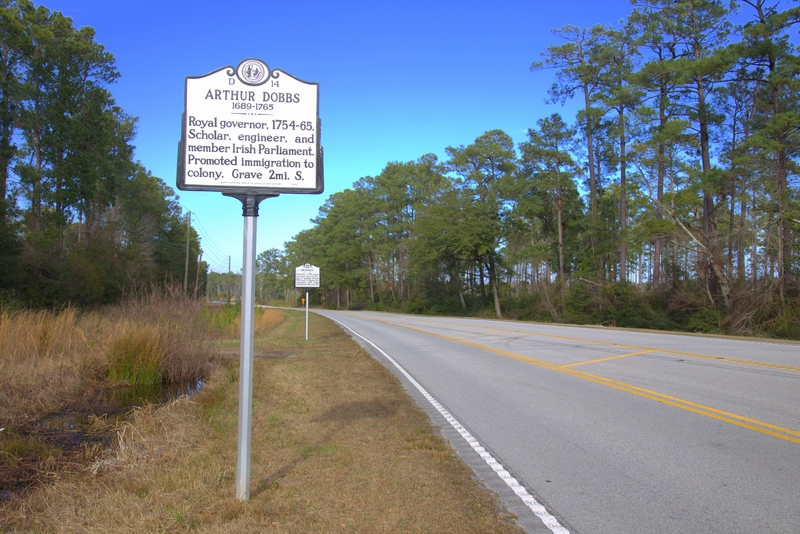 Arthur Dobbs (1689-1765) arrived at his post as royal governor with the colonies on the brink of war and brought with him the instructions, money and supplies to get North Carolina involved in any conflict. He was born on April 2, 1689, in Ayrshire, Scotland to Richard Dobbs and the former Mary Stewart. The family also owned an estate near Carrickfergus, County Antrim, Ireland. At twenty-four, having served two years in the British army, young Dobbs moved to Ireland to oversee the estate. 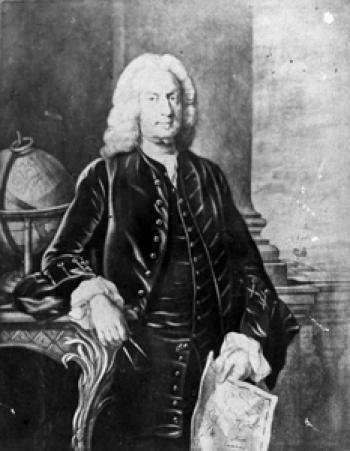 Dobbs married Anne Osburn Norbury in 1719, with whom he had three children, including Edward Brice who would accompany him to North Carolina. In 1762, he married fifteen-year-old Justina Davis, meeting with much ridicule. Dobbs showed interest in a colonial governorship, expressing ideas for cultivating industry and advancing the British Empire. He was named governor of North Carolina in 1753 and arrived on its soil the following year, a vigorous sixty-six. Before reporting for duty, Dobbs met in Williamsburg with the governors of Virginia and Maryland about uniting forces against the French. He was warned about the weak and poorly equipped colonial militia, but brought money, arms, and the determination to alter their circumstances. 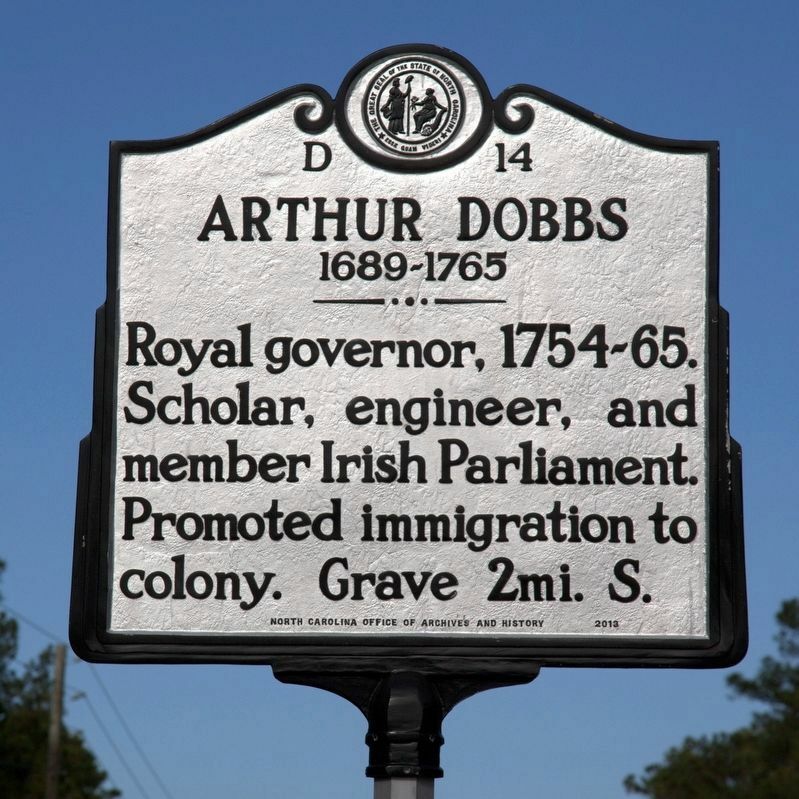 Dobbs initially was successful as governor, promoting unity, industry, military strength, and loyalty to the crown and the Anglican Church. Always trying to avoid the conflict between northern and southern factions, he attempted to establish the capital on his plantation, “Tower Hill,” near centrally located Kingston (present-day Kinston). Although the assembly appropriated money to purchase the land for that purpose from Dobbs, at cost, the British government disallowed the plan. He finally settled on moving to Brunswick in 1758, where he built a home and encouraged the building of St. Philip’s Church.